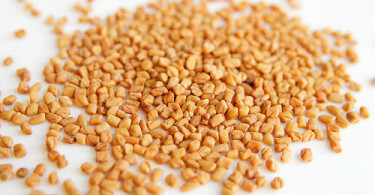 Fenugreek has many pharmacological effects and is lately very popular in bodybuilding world. The effect of fenugreek on fat index of diabetic patients with high cholesterol showed that this plant reduced fats significantly. It has also been successfully used for nursing mothers as it may increase mothers milk supply. Fenugreek seems to have positive effects on body composition in combination with resistance training by decreasing body fat percentage but its consumption can actually increase estrogen levels and can potentially cause gynecomastia [male breast growth]. Though fenugreek is, by some companies, sold as »testosterone booster«, studies do not support this claim.